Catch more fish with The Hook Pal fishing tool ! Tommy Strickler caught catfish using " The Hook Pal " to help keep his live bait on ! The "Legend" Steve Willis, well known manufacturer of many custom baits around Virginia. Having a great lunch with him talking old fishing stories. 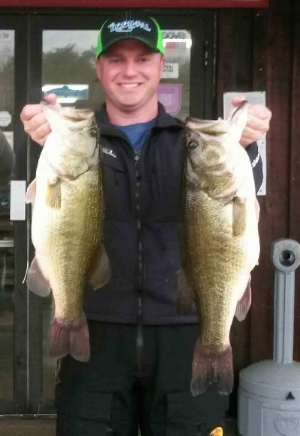 Ryan Barksdale with his nice catch of bass, another happy "Hook Pal" friend, great catch Ryan ! Big M Bassmaster reunion at Buggs Island talking old times and fellowship, Thanks Cavin Young for all your hard work ! Eric Johnson crushes the big ones Jan 12, 2018 Lake Anna Va.
Winky Moore is hard to beat when it come to smallmouth bass , great catch Winky ! Pro- Staff Tommy Coffey shows his friends Rodney and Reed Allen how to do it on The Susky ! Thanks Guys ! After catching many fish, The Hook Pal helps by saving your plastic baits ! Our great friend Winky Moore had an outstanding day with a catch of 4lb.3oz., 4lb.13oz. and one 5lb.10oz. on the James River. Great catch Winky ! Tommy Coffey kills em on the Susky River in Pa. We are so blessed for supporting us here at The Hook Pal family.